“Our worst moments are our defining moments.” Jennifer shares with us the proper mindset to bounce back after major setbacks. And also, suggestions on how to include your kids in your business. 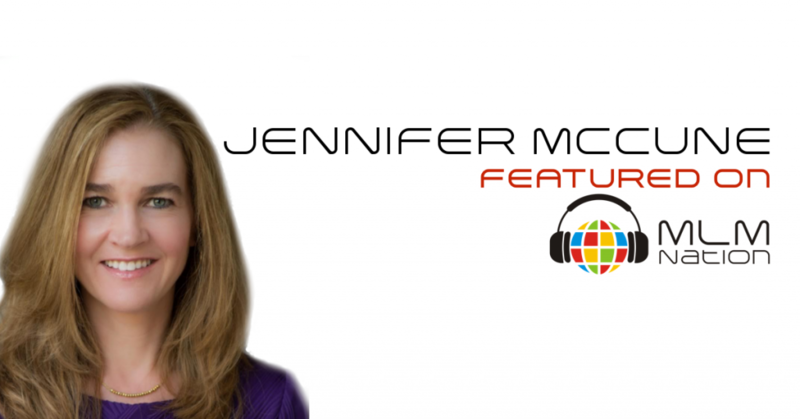 Jennifer McCune earned a PHD in Spanish and decided to pursue academia before she realized that it turned reading from her passion into a job. She eventually got a job working for the Department of Defense and had 3 kids before she encountered network marketing. When Jennifer first discovered MLM, she was hesitant at first but decided to join because it would be a great learning experience. It turned out to be a good decision because a year later she was laid off from her job but fortunately she had a solid MLM business built already. Today Jennifer is a MLM leader, a 6 figure earner and loves the fact that network marketing allows people to give back in ways they couldn’t before.